Here’s a list of useful tools and other resources I use in my day-to-day investment activities, plus a few interesting and educational bits and bobs. The first thing an active investor needs is somewhere to buy their shares. Obviously this means some sort of stockbroker or an investment platform, but which one? You could do far worse than look at this list of platforms, reviewed in depth by Holly Mackay and the team at the not-so-boring Boring Money. The site allows you to add reviews for platforms you already use, and you can read reviews from other investors. You can also find out much more about the analysis behind that list of platforms by downloading September’s Boring Money Magazine (PDF). To get a different perspective on brokers and platforms you could download the Investors Chronicle stockbroker survey (PDF), which is good but not as up to date as Boring Money’s. Or another website I like is BrokerCompare.info, which has a very snazzy tool for comparing broker costs under a range of scenarios such as portfolio size and number of trades. Yet another source of broker and platform info is Compare Fund Platforms, which does exactly what it says on the tin. As a bottom-up, business-focused investor I’m interested in company accounts rather than share price charts, so my tool of choice here is SharePad. It provides more than ten years of data (if a company has been around that long), and you can download all of that data (income statement, balance sheet and cash flow statement) as a spreadsheet with just a click or two. If you’re not sure how to analyse company accounts or if you’re investment strategy is a bit shaky, you might want to read Phil Oakley’s super-massive and highly detailed step-by-step guide to investment analysis. Or another site I’ve used for many years is Sharelockholmes; simple, clean interface, millions (almost) of figures and ratios to sort and select by, but not very pretty. The New Buffettology – Written by Mary Buffett, this is the book that really got me started as a defensive value investor. 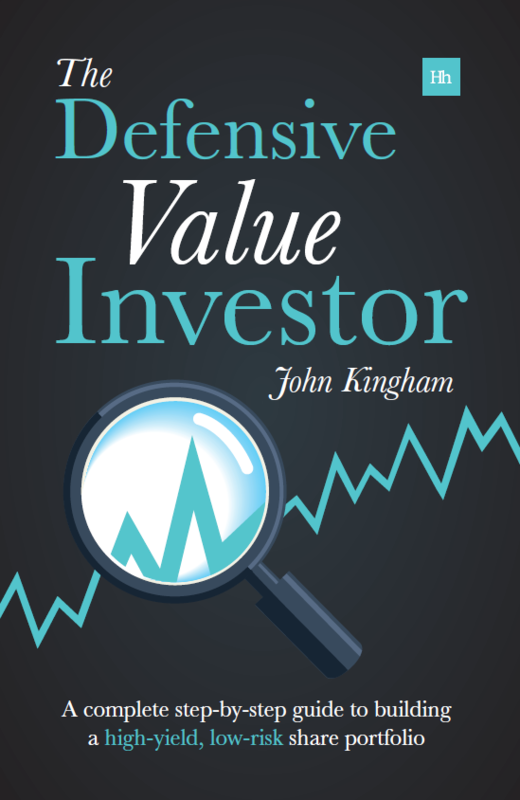 This is the best book on defensive value investing I’ve seen so far as it’s quite systematic and mechanical, which is right up my street. Warren Buffett and the Interpretation of Financial Statements – This is another Mary Buffett book. It works step-by-step through the income statement, balance sheet and cash flow statement from a “Buffett” point of view (which I would call a defensive value point of view). Rather than reading a stack of books, perhaps you just want a quick overview of company accounts, share and all the rest of it? Once you have your strategy and data source in place you’ll need to crunch some numbers and do some detailed analysis. You can use my investment spreadsheets to measure the defensiveness and value of either a stock or your whole portfolio. And once you’ve crunched the numbers you’ll probably want to dig in a little further and understand what makes the company tick, in which case you could subject it to a series of questions to find out what it does and whether it’s a likely value trap or not. Having pulled the trigger and bought a few shares in a few companies, you should track your performance to see if you’re investing efforts are making you money or losing you money relative to the passive approach. I track my personal portfolio and the UKVI Portfolio using ShareScope. Although ShareScope has a huge amount of functionality for stock market traders, it also has – I think – the best portfolio tracking functionality as well (when combined with my portfolio analysis spreadsheet, of course). Once each month I just log into my various broker accounts and reconcile the amounts between the brokers and ShareScope, and make any adjustments as necessary. ShareScope then gives me total and annualised returns for each holding. You’ll also want to stay up to date with the latest news on each of your holdings, and a good way to do that is with investegate.co.uk. Just search for a company and all of its RNS (Regulatory New Service) announcements appear, enabling you to see pretty much everything you need to know as an investor. That’s for Sainsbury (SBRY), so just change the capitalised code at the end to get news for any other company. You’ll need an RSS reader, of which there are many. I use Feed Demon on Windows, although it’s a bit out of date and not supported anymore. Unfortunately, investing in shares can be a bumpy ride, so it’s a good idea to have an appreciation for its cyclical nature. There are booms and busts and booms and busts, and it more or less goes round and round in circles like that. Even Bill Gates said the video was a worthwhile 30 minute investment. Nobody has a crystal ball that actually works, so while Ray’s economic machine is a good metaphor, the timing and magnitude of each cycle is unknownable in advance. The same is true – to an even greater extent – when it comes to the fate of individual companies. I’ve already mentioned Fooled by Randomness above – an excellent book about uncertainty in life and in the stock market. But if you want a deeper look at uncertainty in complex systems (like a company or the economy) then have a look at Complexity Explorer’s free course, Introduction to Complexity. Hurry though; the current course is only open until September 20th. Hi Richard, yes ShareScope rocks. I think their plan is to replace it eventually with SharePad, but that will probably take a year or more of incremental feature additions to the newer product. Brilliant. Thanks John. Those Mary Buffett books were already on my wish list but your post has put them right to the top. Hi Monty, glad to hear it. The Buffettology books do feel a little “cheesy” (at least to me) but the content is excellent and written for the layman. thank you so much for putting this together. It’s a really useful resource! Thank you for this post. Quite a lot of resources that I had not come across before, which I am looking forward to studying. In the article you imply that you subscribe to Sharescope and Sharepad. Do you? I subscribed to Sharepad for a couple of months but could not see the point of it (and did not find it at all intuitive and support was very unfriendly for example no import facility; I have been trading for 7 years, so reconstructing my portfolio was going to a mammoth task) and cancelled the sub! I think I will revisit in a year or two and see whether it has improved but I suspect new iteration of Stockopedia may sufficient. I use Stockopedia, which I think is worthy of consideration but I do feel that it’s portfolio tracking is poor. One other question; what percentage of one’s portfolio do you think it is reasonable to spend each year on these sort of resources? My point is that one could spend say £1k with Sharescope, £1k to Stockopedia, £270 on your newsletter(which I do! ), £200 on books but if one had a portfolio of £10,000 it would be a bit crazy. Hi Michael, yes I subscribe to both ShareScope and SharePad, although SharePad is only (currently) £5 on top of the ShareScope subscription. As for the point of SharePad, I guess it all depends on what you’re looking for. Personally I like to have the fundamental accounting data for each company, and that’s exactly what SharePad (and ShareScope) give me, in a form that is easily downloadable to a spreadsheet for further analysis and manipulation. I also have a complimentary subscription to Stockopedia, and I have spent quite a while digging around in their product, which is also excellent but different. Stockopedia give users an easy and visually attractive way to see lots of unusual ratios and metrics that are, according to various sources, useful. Users can also follow various ‘guru’ strategies and build all sorts of complex screens and other things, and of course Stockopedia have their StockRanks system too. However, SharePad and ShareScope also do much of the same sort of thing, but in a different way. I guess the best thing to do for any investor is to subscribe for both as they both have trial periods. Fiddle around with them and see which you prefer. For portfolio tracking I think ShareScope stands head and shoulders above everything else that I know of, and SharePad is likely to eventually have all of the same functionality (although I don’t work for them so I don’t know for sure). As for budgeting for all these things, that’s an excellent point. Personally I would rather keep the cost of various tools and information services to below 1% of my portfolio’s value, so that it’s broadly comparable to a 1% management fee from a fund manager. My ShareScope/Pad subscription is £25, so £300/yr, and if I subscribed to my own newsletter that would be another £270/yr. I probably read about a book per quarter, so perhaps another £50 on books, and I think that’s about it for me. 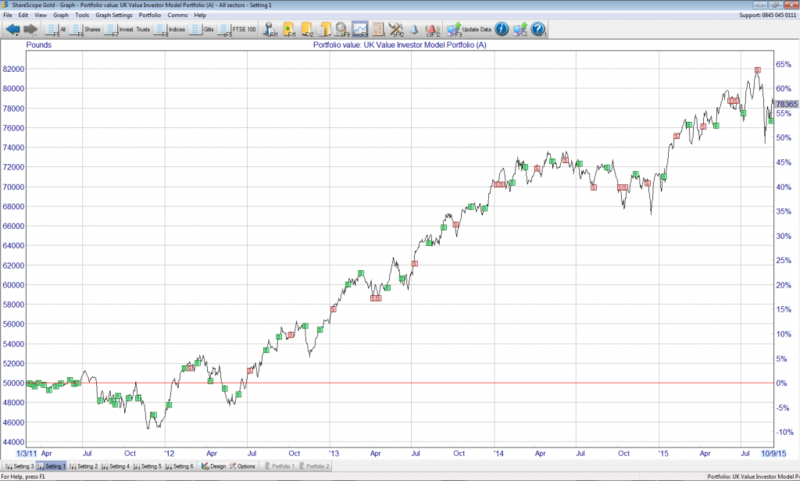 Personally that’s under my 1% rule of thumb, but as you say for a £10,000 portfolio it would be a bit tricky. Generally I don’t think people should even think about active stock picking until they have a portfolio of more than £30,000; partly so that a diverse portfolio can be built up without trading costs being excessive (in % terms) but also because of the cost of tools. With portfolios below that level I would say it’s better to put it into an index tracker and focus on building it up by saving hard. I hope that’s a long enough answer! Thanks John. 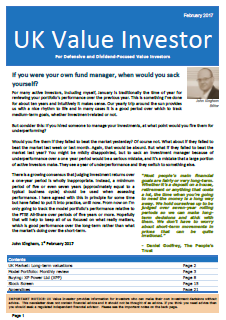 Very useful and the 1% (to match fund manager) is interesting. Really useful list, John – I’ve submitted it to the UKFinanceOver30 sub-reddit. Okay, thanks Mike. I see your Reddit is gradually building up content. Very handy. Thanks for including the half hour video on “How The Economic Machine Works”. I agree it’s a very well presented piece and explains things really very well indeed. Hi Mike, to be honest I don’t think the debt problem is even nearly fixed yet. Corporate debt, yes, but not government debt or personal debt. We’re still in “avoiding catastrophe” mode, with near-zero interest rates forever it seems. Perhaps in another five years we’ll start the long climb back up the interest rate ladder. At that point the really unpleasant job of unwinding all those debts will begin, as well as unwinding the asset price bubbles – mostly property and bonds I would say – that are propped up by them. Sorry John, I wasn’t actually referring to THIS particular debt problem – that’s clearly nothing like fixed yet. I meant the bit of the video generally identifying the closing stages of “getting out from under” on the debt cycle, uttering a huge sigh of relief “that’s over with”, only to go do it again many years later (probably with the next generation *). I’m sure I read somewhere that taken globally there reckons to be something like four times as much debt as there are assets to secure it all against. I’ve no idea if that’s even remotely accurate, but if it is, what the hell are people lending against ?! THAT certainly doesn’t end well, now does it ? The fact that we forget about previous crises is an inescapable consequence of our short lifetimes. As you say, the next generation come along, have no direct experience of the crisis, have only experienced good times, so they load up with debt on the assumption that it’s sunshine and rainbows forever. Which of course it isn’t. For each generation the genetic source code is the same, so the mistakes are the same. Although that may be a good thing because at least we (should) get better at clearing up the mess afterwards. John, thank you for such a useful post and an excellent starter point for new and experienced investors alike. I myself have just recently returned to Sharescope/Sharepad. The 1 month trial was not enough to determine exactly what I wanted from the product, so I had to chop and change subscriptions a few times. However the staff understood and were accommodating every time that I changed. I have always been a fan of Stockopedia and it’s out of the box simplicity, however I have found Sharescope ‘Sharescript’ feature to give me the edge. This feature has allowed me to program Sharescope’s search and display facilities to exactly what I require. It saves me time (albeit at extra cost of Sharescope Plus) on data mining and filling out my spreadsheets. I also have the Sharepad bolt on. My initial reaction was negative as I found the interface too enclosed, and felt restricted in what I could do. However after a few weeks persevering with it, I have come to realise how powerful and feature packed Sharepad is. Sharepad has some useful customizations to the summary page and display columns. I hope the data mining feature can be further expanded into Sharepad, and that the sharescript feature can be introduced. I certainly hope so if Sharescope will eventually be put to bed. I would recommend Stockopedia for the novice investor, who can use the Stock Ranks as some sort of confirmation (rightly or wrongly) on stock picking while learning in time the minefield of fundamental data, ratios and screens. John, I am not sure if I have much traffic to my website but I would like to link this page on it, as being a very useful resource. Hi Ian, thanks for the thoughtful comment. I would agree that Stockopedia and ShareScope/Pad are the two main premium stock picker tools at the moment. I think they’re different enough that people will clearly prefer one or the other. Their basic functionality is effectively commoditised (they all have the same data and can come up with the same ratios) so it’s probably more down to the look and feel of the interfaces, which are significantly different. But yes, Stockopedia is probably more novice-friendly, although I don’t think SharePad is far behind in that regard. You’re more than welcome to add a link to this article on your site. I guess your at http://www.grindertraderuk.com/ rather than http://www.grindertrader.com/ ! Thank you for these resource links…..I can’t wait to get started to read/watch these resources. Exactly what I needed to get started.